Now that the Holiday Season is over, the days are still short and the nights still cold. 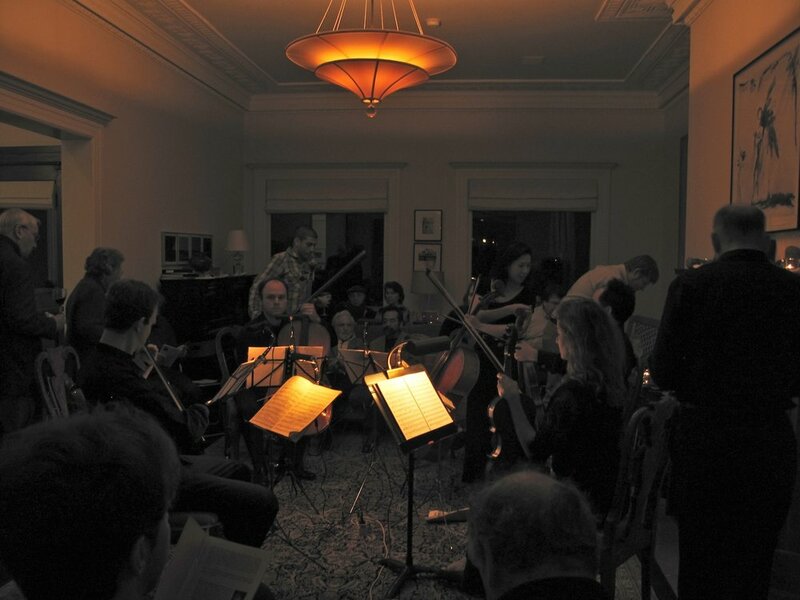 Come and join us for a romantic candlelight concert at Grace's and David's beautiful home at Alamo Square. The number of 6 musicians will be reflected in six different kinds of wine and cheese that will be served during the interval for our audience. Some of the finest chamber musicians in the Bay Area will be performing two masterworks by great romantic composers: Tchaikowsky's Souvenir de Florence and Brahms' second Sextet for two violins, two violas and two cellos. Doors open 5:30pm. Music at 6pm. Please allow enough time to check in and keep in mind, that street parking can take some time in the area. Suggested donation: $ 50; Six different wines and cheeses included. Cash or checks are welcome at the door.